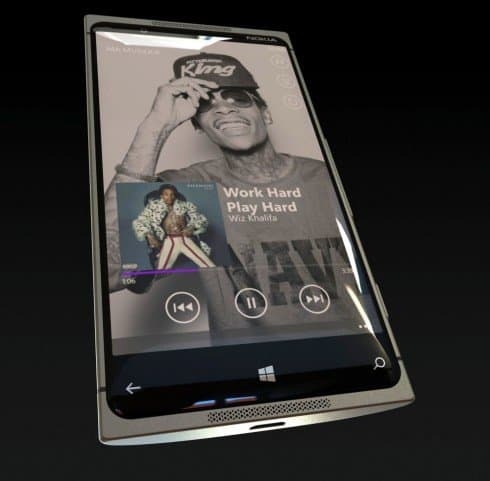 Nokia Lumia 945, a concept smartphone designed by Edgar Mkrtchyan ,this concept smartphone is very much similar to the Nokia Lumia 920 and Nokia Lumia 925. Nokia Lumia 945 has anodized aluminum frame and a polycarbonate customizable rear shell casing, It got speakers in the front which seems to be a new design in Lumia series. Processor and RAM: Coming to the processor and system memory, it posses a quad-core Snapdragon 600 processor, 2GB ram so that users can have an excellent gameplay although 1GB is enough for handling all the high end games for Windows Phone, as Windows Phone has a better ram management than any other smart OS, that is why users are able to play high end games like Asphalt 8 on 512MB ram devices without a single lag whereas Android is not. 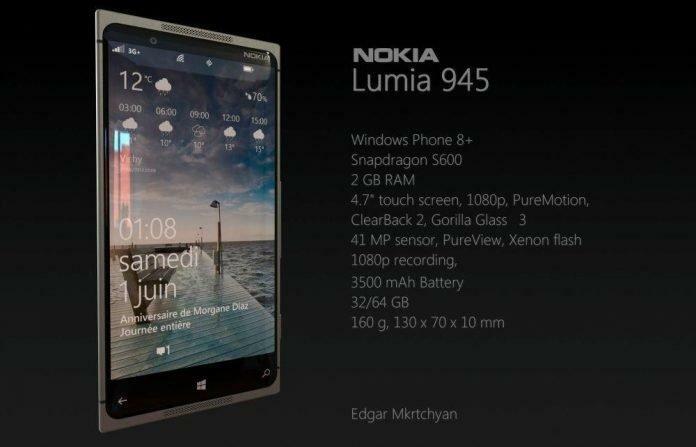 But here we are not going to discuss which OS is better rather we will concentrate on the specs of Nokia Lumia 945. Internal Storage:It will have internal storage capacities of 32GB or 64GB. Camera:The Camera is similar to Nokia 808 Pureview. It will boasts a 3MP front camera which will be capable of recording Full HD videos at 1080p. The Pure View rear camera will have amazing 41 Mega-pixels with a Xenon flash. Surely this device is going to give a tough competition to its rivals with such amazing specs. 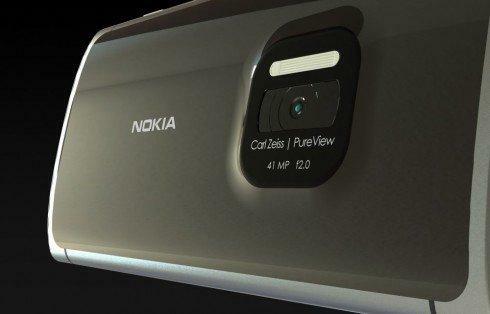 Also, this is just a concept given by Edgar Mkrtchyan and Nokia has not made any official announcements regarding this yet.